Thanks to the variety of lakes in the vicinity, everyone can find a favorite: pick a lake for familiy recreation or ambitious sport fishing. With a wide range of lakes, the choice is yours and you can easily spend a whole day on a lake without being disturbed. Here is all the information you need about the different lakes, their type, size, depth and the fish you could find. Ödevata Fish Camp is located on the shores of lake Ödevaten. A beautiful, long-stretched body of water, at max. 6 km length. 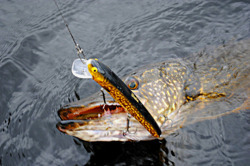 It is rich with perch, pike, bream, roach, rudd, tench and burbot, perfect for fishing. It offers several nice places to bathe and barbecue. Since the lake has many coves and islands you can easily find a remote and calm spot for yourself. Fishing licence 60:-/day/pers, 80:-/day/family, 250:-/week/pers. Törn is the largest lake in Emmaboda municipality, located at 20 km from Ödevata. It is the lake of choice for our guest who want to fish Zander, since the zander-population is very strong in this body of water. Even impressive pike can be caught at Törn each year. 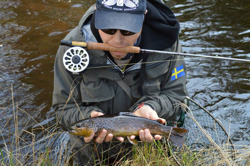 We provide information and insider-tips for successful fishing if you choose to pay Törn a visit. Vegetation: Waterlilies, club-rush, bulrush etc. Size-records: Pike: 14 kg - caught by our guests at the Fish Camp! Skärsjön is a very special lake. It is very shallow, max. 3,1m deep, and its water is stunningly clear. In the northern parts of the lake you find wellsprings, responsible for the low temperature of these waters, even in summer. 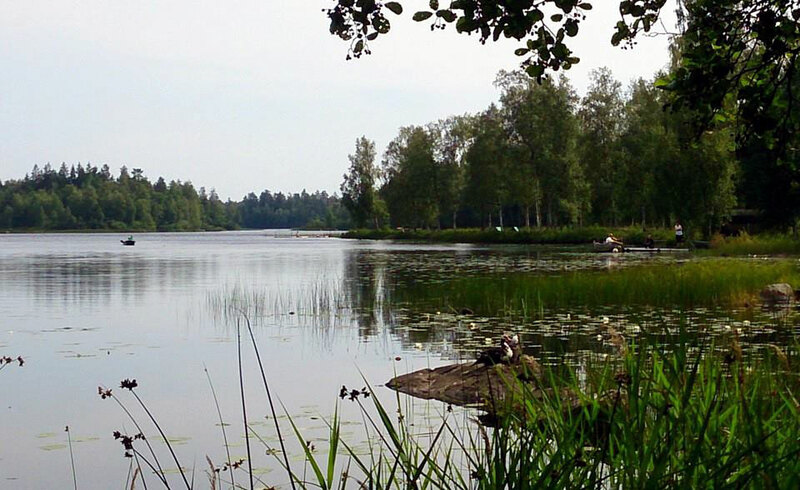 The vegetation makes Skärsjön hard for fishing, so you should look for spots free of pondweed. The ground is covered with rocks and you can see large boulders reaching up to the surface. It's exciting to fish in Hultabräan, a large lake rich of fine pikes and zander. This lake is shrouded in legends, because you can see walls of stone, small islands and even rocky paths at the bottom of the lake! On the southern shore, you can find a boat ramp, called Hornet. The sportfishing club of Emmaboda attends to this lake and offers trout fishing at Svartegöl. It's located 20km from Ödevata, near the hamlet of Vissefjärda. Svartegöl is a put-and-take water for rainbow-trout and arctic char. 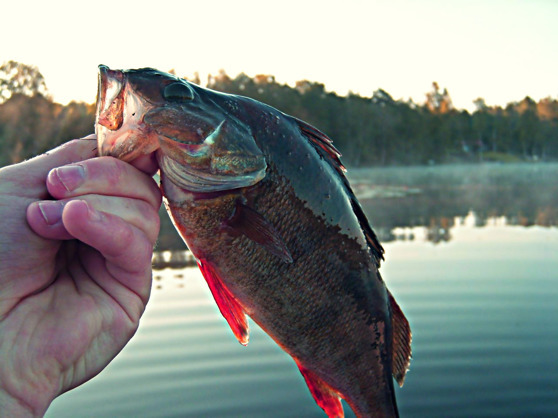 The fish are placed several times a season and grow up to a fine weight. Regular liming keeps the ph-value at a healthy level. This lake lies only 5km away from Ödevata. 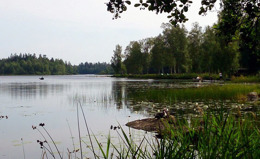 It is a beautiful little lake in the middle of the forest and provides with pike, perch and whitefish for fishing. Mosjön has two deep hollows where some anglers had the chance to catch fine 1kg-perches! On the eastern shore you can enjoy the evening sun on a small BBQ-area that even has a wind-screen.